OVER 20 YEARS EXPERIENCE - CALL THE PROS! THE DIFFERENCE BETWEEN DAY AND NIGHT! That's what you'll see when your pavement is pressure washed by Bay Clean Power Wash. We specialize in all types of pressure washing contracts, sales, service and maintenance of pressure wash equipment and have an impeccable reputation for fast, efficient service. We take pride in giving you the best service you can get. 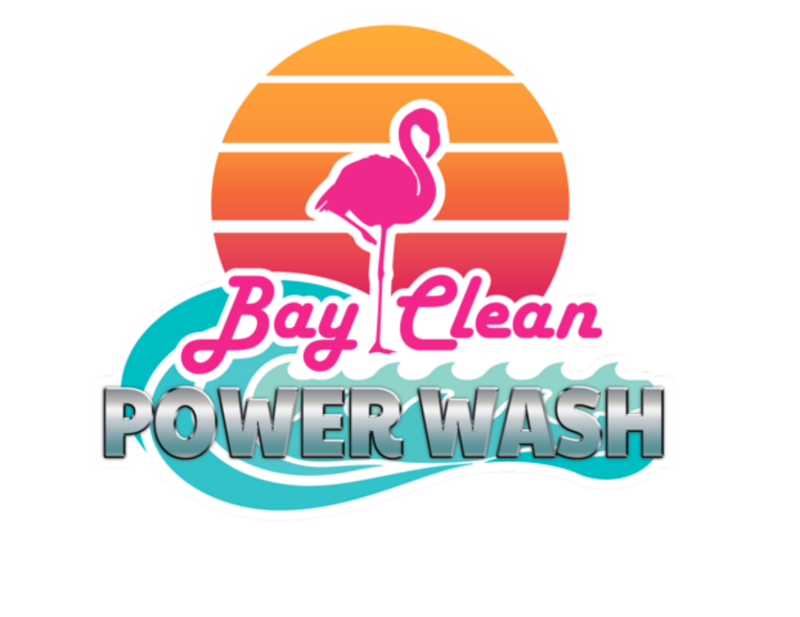 At Bay Clean Power Wash, we have over 20 years experience in the power wash business. Bay Clean does both Commercial and Residential jobs with the emphasis on professional work for a price you can afford. contaminants will go down the drain into the water systems. We clean parking lots, driveways, houses, sidewalks, swimming pool pavement, garages, apartment complexes, and warehouses. There is no job too big or too small. We also sell and do masterful repairs on pressure wash equipment and airless paint sprayers. We also sell replacement hoses and chemicals for all kinds of pressure wash jobs.